Question: What ink formula is the standard for use in the United States Post Office? Answer: 11.7 grams of tannic acid, 3.8 grams of gallic acid crystals, 15 grams of ferrous sulphate crystals, 12.5 grams of a diluted hydrochloric acid, 12.5 grams of phenol acid, 1 gram of black dye and 1 liter of distilled water. 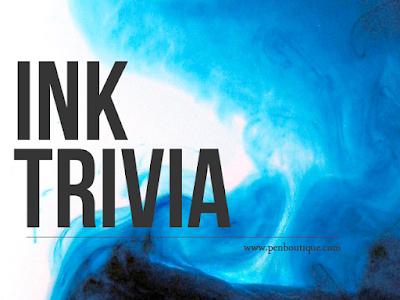 At the turn of the century, the United States government devised a standard for ink for use in post offices. With much wear and tear on pens used in United States Post Offices, this formula was written originally to provide ink for use in its lobbies.